Many companies aren't doing it and they're risking not complying with GDPR. 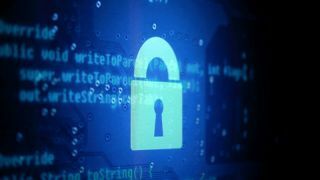 An overwhelming majority of the UK’s IT professionals (90 per cent) have their worries when it comes to securing the public cloud, according to a new study. Research by Bitdefender found that 90 per cent of British professionals had concerns around the security of public cloud. A fifth (20 per cent) also said that their business doesn’t have security measures set up for sensitive data outside the company infrastructure. Bitdefender found that only half of the organisations surveyed said that cloud migration expanded their threat landscape ‘significantly’, and a fifth encrypts migrated data. The survey covered 1,051 IT security professionals from large companies with more than 1,000 computers, located in the UK, US, France, Sweden, Denmark, Italy and Germany. More than four fifths (85 per cent) of surveyed CISOs said encryption is the most effective security mechanism when it comes to securing data stored on public clouds. This is followed by security software and backups. Most US companies secure up to 60 per cent of their data residing in public clouds. A fifth (21 per cent) encrypt all of it. A fifth has no security at all, and another fifth doesn’t encrypt transiting data. “The risk of being GDPR non-compliant means not only negative publicity and damage to the companies’ reputation as it has been until now, but also penalties that can total up to 4 per cent of a company’s global annual revenue,” noted Bitdefender’s senior eThreat analyst Bogdan Botezatu.